THIS BEAUTY SITS ON JUST UNDER A HALF ACRE! 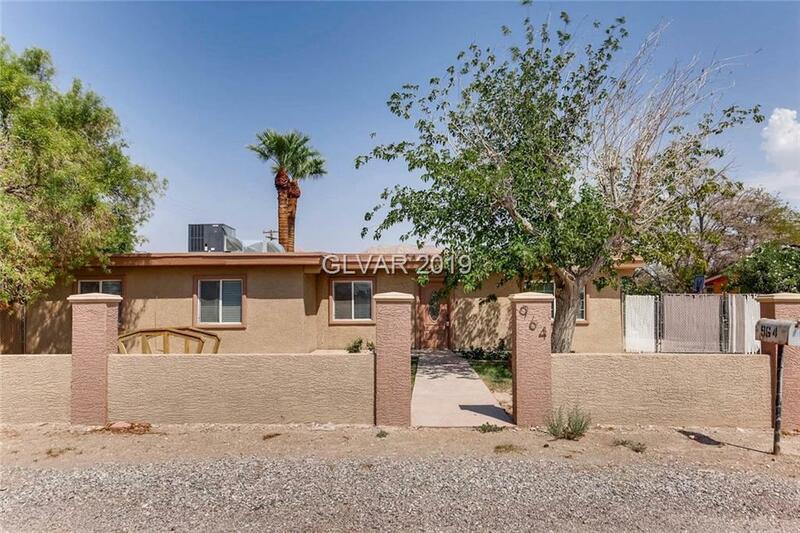 THIS 4 BED, 2 BATH HAS BEEN TOTALLY REDONE/REMODELED WITHIN THE LAST FIVE YEARS INCLUDING, NEW A/C, FLOORING, GRANITE COUNTERTOPS, KITCHEN CABINETS, BATHROOMS UPGRADED, EXTERIOR PAINT AND STUCCO, WINDOWS AND WINDOW COVERINGS, STAINLESS STEEL APPLIANCES, COVERED BACK PATIO & SO MUCH MORE! A/C ELECTRIC PANEL REPLACED 2 YEARS AGO, EXTRA OUTBUILDING W/ FULLY STUCCOED EXTERIOR. TACK ROOM & CHICKEN COOP.